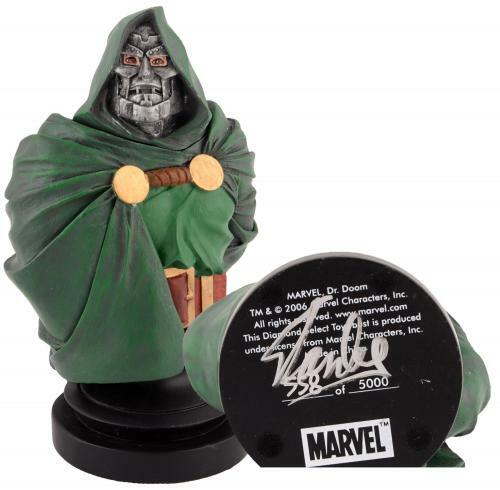 This bust has been personally hand signed by Stan Lee. It comes with a tamper-evident label and Beckett Authentication Services COA. This process helps to ensure that the product purchased is authentic and eliminates any possibility of duplication or fraud. HollywoodMemorabilia.com firmly stands behind every product offered on our site with a lifetime authenticity guarantee that each signature is 100% authentic. Comes fully certified with Certificate of Authenticity and tamper-evident hologram. Also backed by HollywoodMemorabilia.com's Authenticity Guarantee. 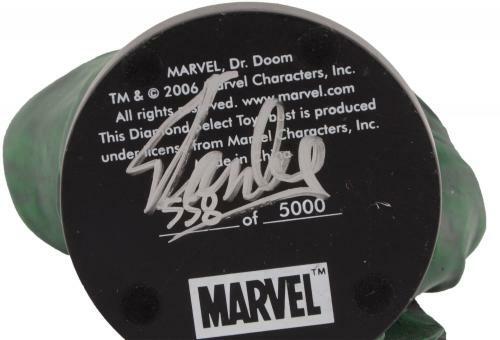 Items certified by HollywoodMemorabilia.com will come with a tamper-proof alphanumeric hologram applied to the item. The hologram\'s serial number can then be entered online to verify the authentication of the product. In addition, a paper COA will accompany the product. Ships same day if ordered by 1 PM EST. Item ships FREE. Ships same day if ordered by 1 PM EST.